We continue to try to get to the Brass Monkey Ball. And there will be blood. Oh Yes. 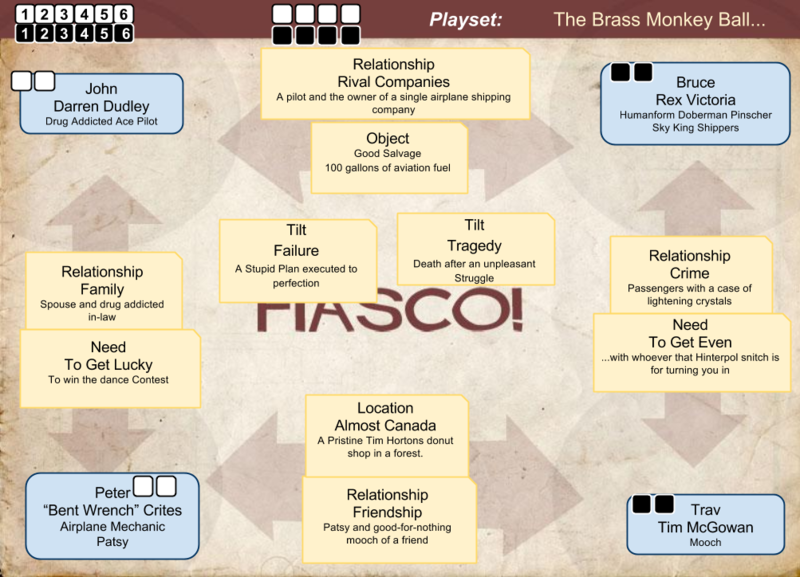 Please visit the folks at Bully Pulpit games to check out Fiasco! 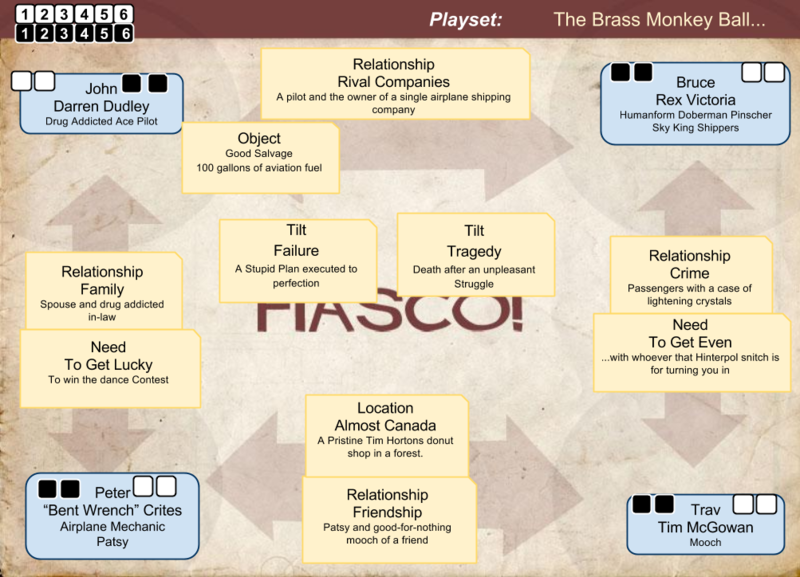 You can get a free copy of the Brass Monkey Ball from the Tri Tac Games webpage!